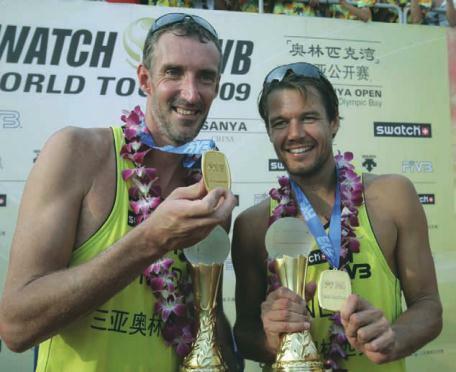 straight SWATCH FIVB World Tour gold medal. and Schuil shared theUS$ 30,000 first-place prize. place finish at the Beijing 2008 Olympic Games. Ross of the United States in the women’s final.